180-degree views, encompassing breaking surf, the azure waters of Anini, and a distant glimpse of the idyllic little island named Moku’ae’ae. Aptly named after the “quiet waters” of the Anini lagoon, Wailana Mālie is a truly timeless Polynesian estate. 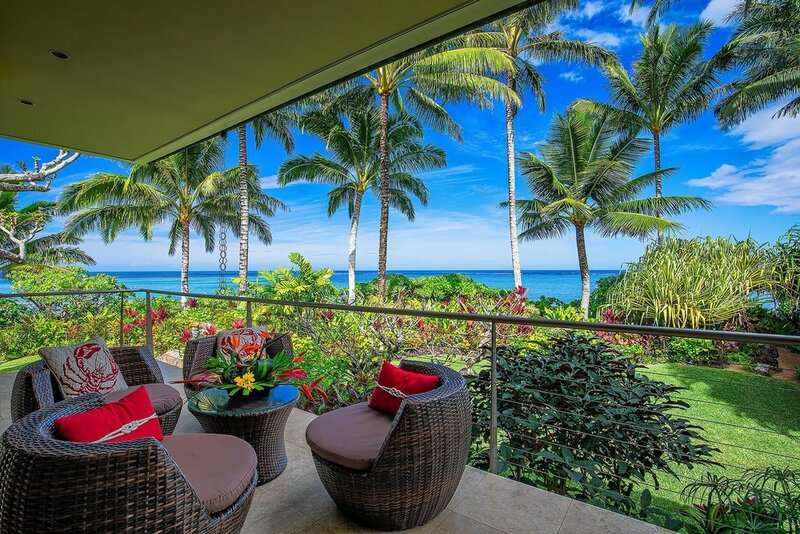 Sophisticated contemporary oceanfront home on Kauai’s enchanted North Shore. Featuring an open & airy floor plan with 9-Ft tall glass pocket doors, creating a seamless transition between the interior & exterior living areas. Located in one of the most desirable locations on the North Shore of Kauai, with quick access to an incredible and healthy Hawaii Lifestyle, yet tucked away from the crowds at the end of a quiet and private cul-de-sac.